Типичный извержения стиль: dominantly explosive; eruptions of pumice, followed by construction of lava domes and effusion thick obsidian lava flows. Lipari, the ancient Meligunis, is the largest island of the Eolian Archipelago and its economic and cultural center. 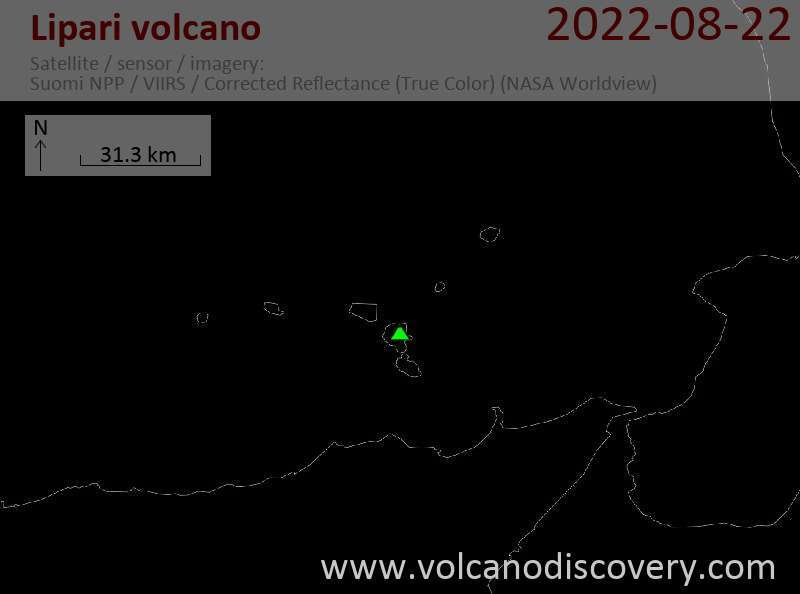 It is located immediately north of Vulcano Island. The island contains numerous small stratovolcanoes, craters, and lava domes on a basement of submarine volcanic deposits. The latest eruption in historic times, probably in 729 AD, at Monte Pilatus at the NE tip of the island, formed a spectacular obsidian lava flow. Since Ancient times, the island has been known for its rich deposit of pumice (the largest deposit in the world!) and obsidian, - a highly valued raw material to manufacture tools such as knives and arrowheads in the Stone and Bronze Age. Obsidian from Lipari has been found throughout the Mediterranean, proving that a vast trade network existed already during the 2nd millennium BC.